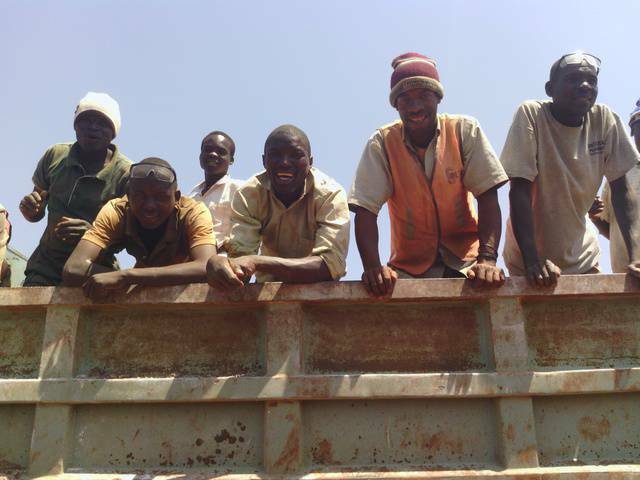 We are Europeans and Americans with gold mining activities in Tanzania. And we are offering to our friends and business partners the opportunity to Start Your Own Gold Mine. Within this opportunity, you are able to start gold mining within 45 days upon your arrival. My experience tells me that whoever starts a venture to open a gold mine, it is very probable or about 95% chances that a businessman is going to fail. Yes, the chances are that businessman is going to fail, give up and return home. Probably just one out of 20 people that try to do it on their own, will get success with gold production. That is due to complications, bureaucracy, corruption and many other factors. It is not only because the business is in Africa. People fail in gold mining everywhere in the world. That is why we have this for you: turnkey gold mining startup. We are leading you, guiding you, consulting you and training you as the future gold miners, and we offer and share our resources with your own project. Could not be better? You are guided, corruption-free, and straight forward through all the steps required to start gold mining activities. After you have 3 kilograms of gold (net after expenses), we are going to receive the award out of your own resources, as one-time fee, amounting to 2 kilograms of gold. Some minimal investment fee initially is required and it depends of the total amount you wish to invest. You would greatly benefit if you invest like €30,000 minimally, however, it is possible to start with €20000 or $20,000 -- but you have to use the hand work, and have to carefully choose methods of recovery and to minimize expenses to have it sustainable in beginning. We have it as ready solution. In this program, we offer you to use our resources. You basically do not spend time on negotiation, research, but we simply kick-start your production. Usually, people spend months in Tanzania before they can begin anything, most of them try and fail and go back to their home country. We make sure this is not going to happen and your gold mine would be working even if you go back, as we can manage it later and make sure it runs long term. 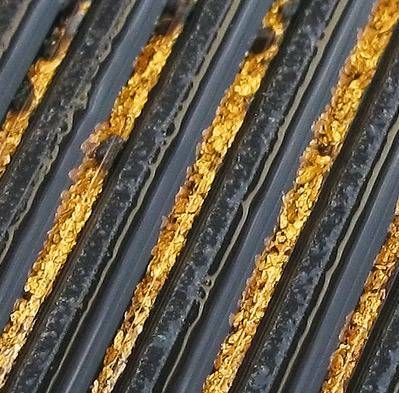 US $22,000 would be the minimal start up investment, but you would get a working, sustainable gold production, however, this kind of investment is hand-work mostly oriented on processing soft materials. Soft ores have lesser gold content, but still you can make kilograms. We guarantee you will make first 3 kilograms during your training and learning time. You should estimate about 2-3 months to reach that target. €30,000 or some US $40,000 would be enough to reach 9:1 ratio of 9 times soft ores and 1 time hard material. You would be able to process mostly soft materials but also about 7-10 tons of hard material per day, as such investment would involve crushers. Each crusher is about €3200 to €5000 depending of the quality. The next level of investment would be when you employ compressors, excavators, trucks, off-road vehicles and make a larger operation. What investment would you like to apply for the operation? We may provide you better estimates with such information. If you can invest into excavators, trucks, off-road vehicles and compressors, you should do soon and in coordination with our mentors and consultants. Proper estimation of effort is required to kick-start the gold mining production. Coordinate to estimate properly your efforts, transport expenses, best possible purchase prices. 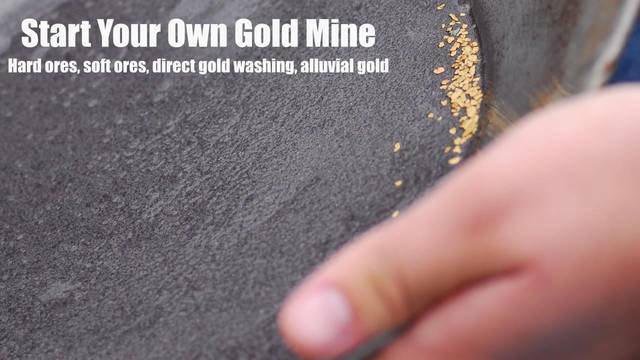 With the minimal investment of about €20,000 or US $22,000 it is feasible to start your own gold mine. We will make sure you get proper training, guidance and that you produce 3 kg of gold. After that, you may decide to continue yourself, or if we manage it for you, we retain 20% to 40% management fee. Our award is one-time payment of 2 kg on your gold mining claim. You may invest more in your company, that is up to you, and you invest directly into your own equipment. Use our advices and you will certainly produce faster. a Tanzanian, small scale miner, with simple tools like picks, have produced within 15 days preparation and 4 days of work about 60 grams of gold. He has no resources, almost no investment and basically, within 4 productive days he got 60 grams, that is a potential of about 450 grams per month. That means, with just 4 people, in 4 days, and small investment into tools he has produced potential of 450 grams per month, which means, to produce 3 kg, you would need 6 months with such level of effort and energy. If you however do the procedure correctly and by our advice, you will be able to produce double or four times more per month. You could be producing 2-3 kg per month. That is about US $100,000. The more investment you make in right steps through the time, the better and faster your production will be. And you are investing into your own gold mine. We organize people to prepare the area, clean from snakes, dangers, etc. How to start with the project? If you wish, you may delegate the management to our company for 20% to 40% management fee. You retain 60% to 80% gold or profit or you may choose to have option to purchase gold from your own gold mine with 20% discount -- making it tax free income in your country.